Technical Specification: Model NO. 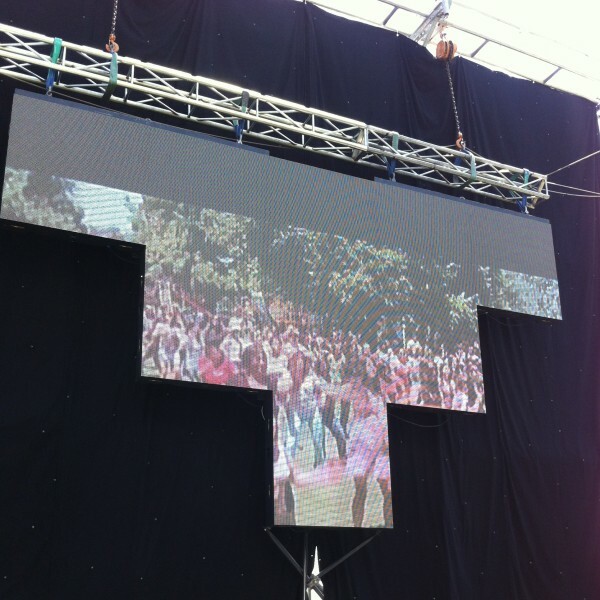 :P6 Indoor full-color Rental LED Display	Tube Chip Color:Full Color Display Function:Video Display	Pixel Pitch:6mm Pixel Configuration:1R,1G,1B	Pixel Density:27777pix/sqm Scanning Mode:1/4 Scan	System Operating Platform:Win98/2000/Nt/XP Display Type:LED Video Display	Application:Stage Performance/ Advertising/ Shopping Guide IP Rating:IP65	Certification:CE, RoHS, CCC, FCC/EMC/ISO9001 Package:Wooden Canse/Flight Case	Specification:CE, RoHS, FCC, EMC, ISO9001: 2008 LED type :SMD3528	Refresh rate:600-1800HZ Model No. :P6 Indoor rental LED Display	Control system：Linsn/Nova Cabinet Size(W*H*D):576*576*80	Mtbf:>9,000hours Cabinet weight:12.5kg	Life span (hrs)：≥55000 Brightness::≥1800cd/sqm	Optimal Viewing Distance:6m~40m Module Size(W*H*D)：288*288*20	MTBF (hrs)：≥3500 Production Capacity:2000 Square Meter/Per Month	Cabinet Material:Aluminum Die-casting Product Description： We specialize in producing and developing all kinds of led displays. As a reliable LED Display manufacturer and exporter in China, we supply Indoor led displays, Outdoor led displays, semi-outdoor led displays.Please kindly tell me which kind of the item you prefer to and provide me more information. It will help us to give you a good price. Features： (1) Large viewing angle, 140 vertically and 140 horizontally, (2) High quality die-casting aluminum for the cabinet, it is very light-weight to transport. (3) Good color mixing, and good color consistency for strict control of the wavelength tolerance of the same lot. (4) Delicate and soft pictures, nice and neat appearance (5) Spring buckle connect, very easy to assembly and disassembly for rental market (6) High intensity and can be adjusted, so can meet the request of the customers according the application environment. (7) Best equality, commendably solve the problem of the mosaic, have the excellent consistency of light. (8) To pictures and character, have clear, exquisite and real display effect. (9) Big viewing angle to 110 degree at horizontal line, 60 degree at vertical line, you can see at every angle at this range, no picture change, no color excursion. Our Services： Pre-sale service 1.We offered technical advises to our customers before buying our led screen 2.Help customers to choose suitable product within budget most economy benefit. 3.We offered software customization for our customer a specific usage. after-salesservice 1.We promise our customer more than just two years warrantly service!We provide free maitenance services including remote configuration,technical consultation,and trouble shooting for our costomer. 2.We promise a life time follow-up service for all the equipment supply by our company.these include continuously improve of system functions and upgrade of system software. 3.We offered training to our customer which include operating and maintenance of our products.